President Rodrigo Duterte’s remarks about ‘stupid god’ made the social media sizzle once more as it made people talk about religion and God, even challenges people’s thought about their beliefs. The president is also being attacked by the Catholic Church, and his political critics calling him a ‘madman”, psychological freak and a blasphemer. President Duterte, on the other hand, further explained his earlier remarks and defended that it is every Filipinos right to choose whether to have no religion at all. This piece from the Constitution protects the president from his statement about religion. A Geo-political Analyst, Adam Garrie, believes that the Church should have acknowledged Duterte’s belief instead of criticizing him over his own belief of God. “Duterte’s tirade against God and the Bible reveals again that he is a psychological freak, a psychopath, an abnormal mind who should have not been elected as president of our civilized and Christian nation”. The Bishop stated. Then there’s Auxiliary Bishop Broderick Pabillo who called the president a blasphemer. “Indeed, like many others around the world, Duterte was a victim of molestation at the hands of a priest when he was a child and as such, Duterte has every right to criticize the institution that brought him misery at an innocent age.” He added. “In short – people are talking about God, religion and spirituality more today than they did a week ago and it is not because of what a priest has said but because of what Duterte has said.” Garrie added. “This proves that it is not Duterte who is afraid of opposition or disagreement but that instead Roman Catholic leaders in the country are afraid that Duterte’s words might inspire others to find God, peace, solace and comfort somewhere outside of a church as is one’s legal and inalienable moral right.” The analyst also said. 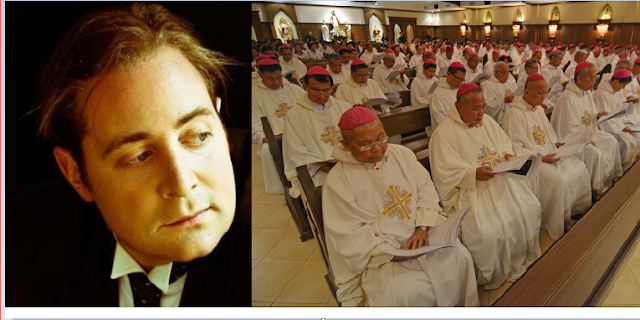 “Since it is becoming increasingly common to accuse one’s opponent of being a “dictator”, I would suggest that it is not Duterte who displays dictatorial tendencies but rather, it is the Church leaders who are concerned only with people finding themselves in a position to be dominated by the clergy, rather than focused on a desire for all people to attain spiritual enlightenment.” Garrie suggested.